Happy to be living here at Montecito! Have been here since the very beginning and will be resigning my lease for at least another year. Fantastic environment. So far living here has been very nice plan on renewing lease. We love all the conveniences this area has to offer. We walk everywhere on weekends . very friendly. Kelly is the best, most helpful and kind. The main reason I decided to live her was due to Kelly and how nice she was to me. This is the end of my second year here; I am very happy. The complex is well kept. Neighbors are kind and family like. Management is prompt. The personnel here are so accommodating, polite and very nice. Kelly has so much energy and it is very nice to have her in the office. Jim always has a smile on his face and is willing to help you out at anytime. Any work orders are done in a very timely manner. This a really nice community. The amenities are great. Maintenance is always great about fixing things in a timely manner. Lastly, I love that it's steps away from a shopping center where I can walk around with my family, go shopping and get a bite to eat. 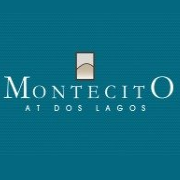 I absolutely love living at Montecito at Dos Lagos!! The finishes and the immenities are second to none! The staff are amazing, helpful and a pleasure to work with! The proximity to Dos Lagos is a huge perk for me and I can't imagine a better complex in Corona! Great!!!! Our staff are so helpful and friendly. Always ready to ask us what we need. Jim and Kelli have great personalities. I enjoy living here. Great experience living here. The staff here are always attentive to our needs. I would recommend my friends and family to live here. Looking forward to staying here. Great small little community that sits on the north side of Dos Lagos. Our family loves living here & the lifelong friendship we've made is amazing. We love it here! Keep up the good work! We look forward to being here for years to come! Thank you for always being so helpful and friendly! And we just LOVE Kelli, she's the reason why we love it here. I love living here! great staff, neighbors, amenities! it's the best location in corona! it's great to be able to walk to the lake every day and walk to so many restaurants. i never want to leave! Great place to live. Nice and quiet with Management that is very personable. Any service calls are taken care of immediately. Not a single complaint. This is a great place to live. It is a very quiet and peaceful community, even though it is next to a mall. We love living here with all the friendly staff and tennants. Montecito is a Great place to live there is so much to do. Its a great place to live if you have kids or you don't have kids. Their is a great night life to have a fun time. However, they also have fun actives for kids. Love it here!! Miss Kelli already and she just left☹️ Love the staff, love the location, love the new modern look! Thanks for keeping it so nice & clean, and especially safe!! Theresa has been wonderful! I love my apartment and the neighborhood More maintenance staff would be nice as well as a bigger fitness center. I think you guys are doing a good job overall. The complex seems to be very clean and orderly. The tenants are friendly. The staff and management do their best to create a nice atmosphere. I love the design/layout of the complex and the units. It can be fairly noisy on the weekends, however I usually don't hear noise from Dos Lagos. I also love the location of the property to freeways and shopping. We love living in the community. Everyone is always professional and helpful. Jim the maintenance manager is always on time and has always been able to fix everything in a timely manner.